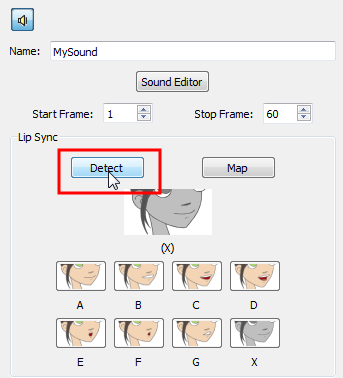 Animate Pro analyzes the selected sound clips and assigns a lip-sync letter to each frame. The X markers in the frame are replaced by these designated letters. 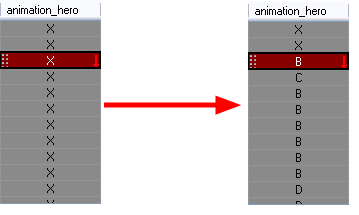 A progress bar appears while Animate Pro analyzes the selected sound clips and assigns a lip-sync letter to each sound cell.